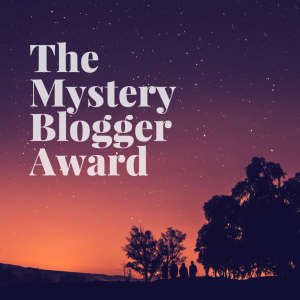 On my return from vacation and catching up with fellow bloggers’ awesome posts, I found your nomination for Mystery blogger award awaiting me Pia. I was really surprised and very happy that you considered my blog as encouraging and inspiring. If you (readers) haven’t visited Pia’s Blog, Please check spoonful O’ spice. It’s worth checking. Award Creator – Okoto enigma of https://okotoenigmasblog.com/my-greatest-creation-yet/. This award is created for amazing bloggers who encourage and inspire others via their blog, and they deserve every recognition they get. I love cooking, I believe once we understand the basics and foundation of cooking, we don’t need a person to teach us to try a different cuisine or recipes. When I do something, I really get into that moment and I expect perfection. I can’t really accept a little less or more. I guess this is one of my positive and negative habits. I literally love being at home, In my own space, not surrounded by too many people with lots of gossip. When I went to Finland for business trip, I agreed to a crazy idea for skating and Skiing. The depth of the snow was quite high, the resort looked like a forest and the slopes were open from 3 KM to 15 KM. The main important thing, I had never been to Skiing and I fell down so many times and struggled a lot complete just 3 KMS. One of the best funny and embarrassing moment in my life. Your favorite cartoon as a child or even now? My favorite cartoon is Tom & Jerry and Jungle Book always. Now recently I have been watching Chhota Bheem with my brothers. It’s not just a cup of tea to come up with a quality content and make readers time worth of something. It’s a lot of work and the main important thing I learned here is to be consistent. My Mom always, She is like a best friend to me. I share everything with her and her support is like a big pillar in my life. She is always very encouraging and caring. I admire her selfless attitude very much. There are some Tamil and English Movies I watched many times repeatedly. My all time Fav Series is “Friends“. I simply watch whenever I get time and every time I watch, I happened to laugh and involve like though it’s a first time.